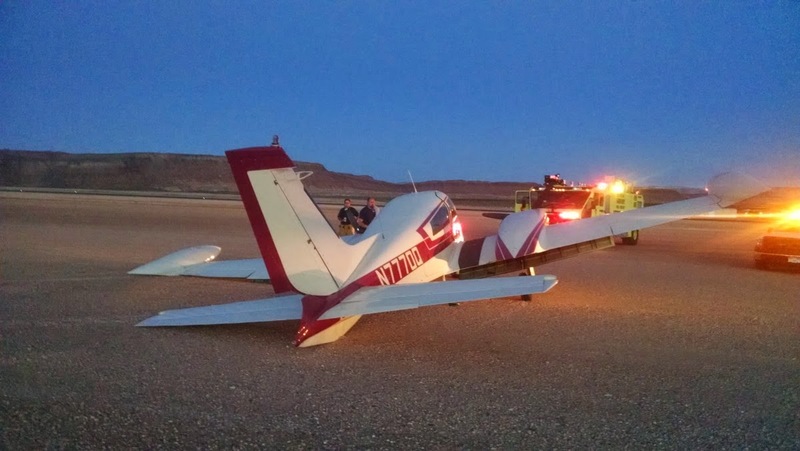 On March 20, 2015, about 1900 mountain daylight time, a Cessna 310Q airplane, N7770Q, experienced a left main gear collapse during the landing roll at St. George Regional Airport (SGU), St. George, Utah. The commercial pilot and one passenger were not injured; the airplane sustained substantial damage to the left aileron. The airplane was registered to, and operated by, the pilot as a 14 Code of Federal Regulations Part 91 personal flight. Visual meteorological conditions prevailed, and no flight plan was filed. The flight departed SGU about 1800. The pilot reported that the purpose of this flight was to regain currency after the airplane had been in maintenance for an extended period of time. During the flight, three takeoff and landings were completed before the pilot departed the traffic pattern to practice inflight maneuvers. After finishing the maneuvers, he reentered the traffic pattern for landing. With normal landing gear indications in the cockpit, the pilot landed the airplane normally and uneventfully. During the landing roll, the left wing lowered more than normal; subsequently, the engine propellers and wingtip impacted the runway surface. The airplane slowly slid to the left and exited the runway surface. A postaccident examination conducted by a Federal Aviation Administration Inspector revealed that the lower adjusting bolt on the left main landing gear was fracture separated. High quality photos of the fracture surfaces were sent to the National Transportation Safety Board (NTSB) Materials Laboratory for further examination. The NTSB Materials Laboratory specialist reported that both fracture surfaces exhibited fractographic features consistent with overstress fracture due to tensile and cantilever bending loads applied to the tie-rod end fitting. No indications of preexisting cracking was observed. Review of maintenance logbooks revealed the last annual inspection was completed the same day as the accident. During the inspection, the left and right landing gear side brace bolts and bushings were replaced, and a gear retraction test was satisfactory. According to a Cessna Representative, the area of the fracture is where a mechanic would place the spring scale to measure the down lock force. This area is one of two main fracture locations when the down lock is improperly adjusted. 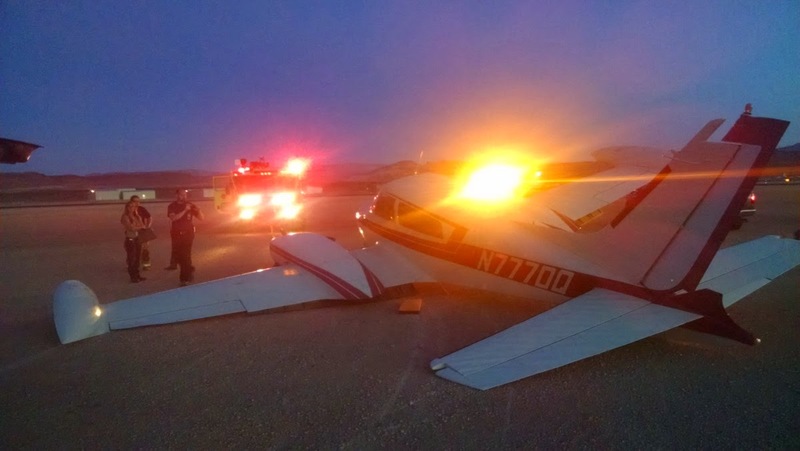 On March 20, 2015, about 1930 mountain daylight time (MDT), a Cessna 310Q, N7770Q, sustained substantial damage follow a main gear collapse during rollout at St. George Municipal Airport (SGU), St. George, Utah. The owner/pilot was operating the airplane under the provisions of 14 Code of Federal Regulations (CFR) Part 91. The commercial pilot and one passenger were not injured. The local personal flight departed St George, Utah, about 1845. Visual meteorological conditions prevailed, and no flight plan had been filed. The pilot reported that during rollout on runway 19, the left main landing gear collapsed. The airplane veered left and exited the runway. The airplane sustained substantial damage to the left wing and left horizontal stabilizer. The airplane was recovered for further examination.